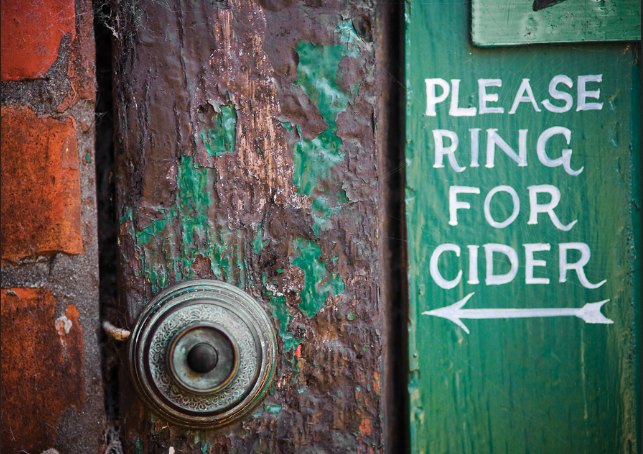 Somerset is where Cider comes from. You know that classic pirate accent, well people from Somerset sound a bit like that but with a softer burr. It’s orchards and dairy farms and rolling green hills that surround the floodplains of the Tone and Parrett. It’s apples, it’s King Alfred, Glastonbury, Cheddar cheese and it’s cricket, it’s where Tony was born and bred. He’s been a cattleman, a builder, a yard-man and most recently a semi-retired gardener. He lives simply, works hard and enjoys a pint or five at the local pub conveniently situated the other side of his garden hedge. Also convenient is the hole in that hedge and the short plank across the ditch that leads into the pubs beer garden therefore avoiding using the front gate and risking the possibility of being spotted by his wife Pip. It was in this pub in 2005 that Tony told me it had been 22 years since him and Pip had been to the cinema. He told me that both him and Pip enjoyed a western and loved nothing better than watching an old John Wayne movie on a Sunday afternoon. So having seen the advertising posters of two young cowboys on horseback ambling along behind a herd of longhorn, snowcapped Rockies in the distance, he decided it was time for him and Pip to revisit the picture house. He took a long draft on his cider all the time looking over the rim of his glass only breaking eye contact to replace it on the bar. He looked back at me and gently shaking his head he uttered two lines that have been etched in my mind ever since.